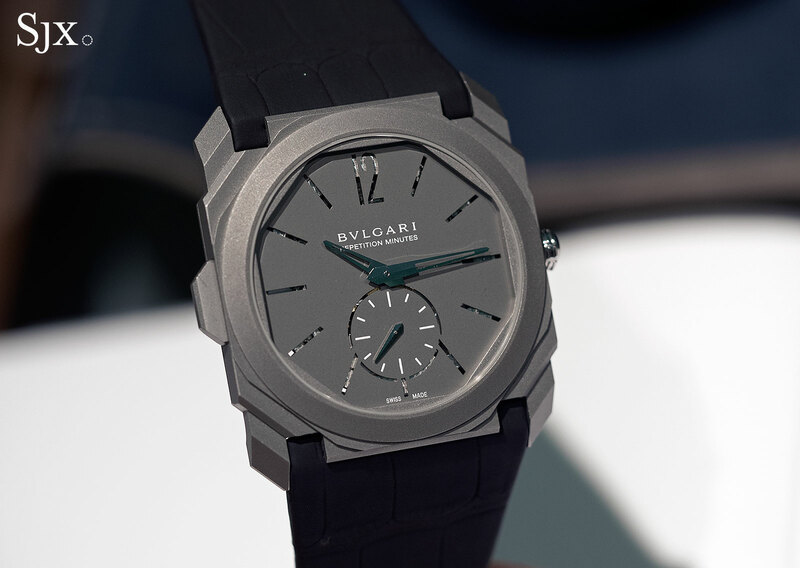 With the incredibly slender and light Octo Finissimo Minute Repeater, Bulgari takes the title of the slimmest minute repeater at Baselworld 2016, claiming it from Jaeger-LeCoultre, which claimed it from Vacheron Constantin – all of which happened within the last three years. 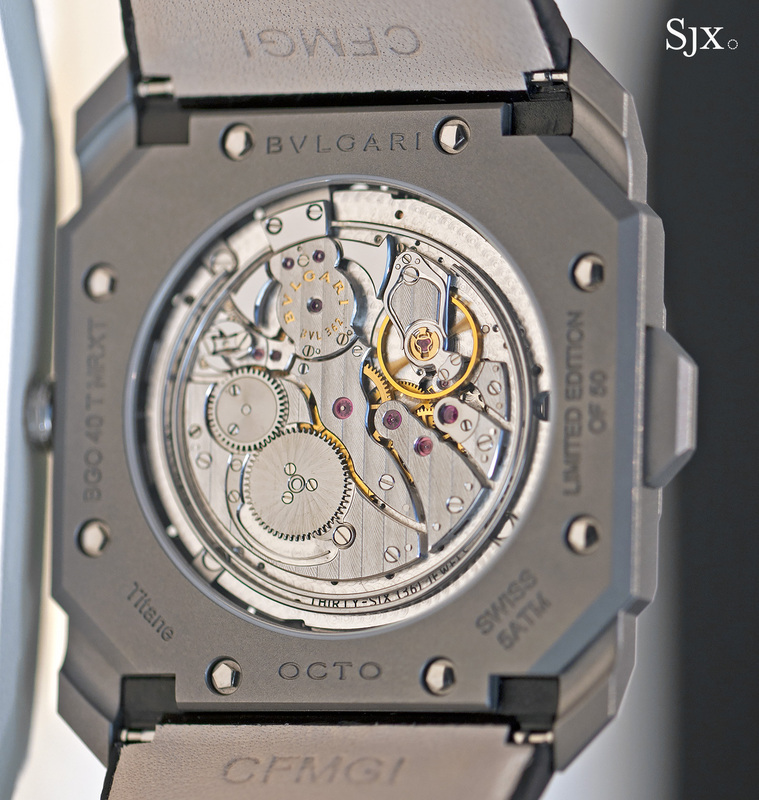 The irony is the movement inside the Octo repeater originates with a calibre that is 30 years old. But first, the watch itself. The Octo Finissimo Minute Repeater, case and all, measures just 6.85 mm high and 40 mm in diameter. 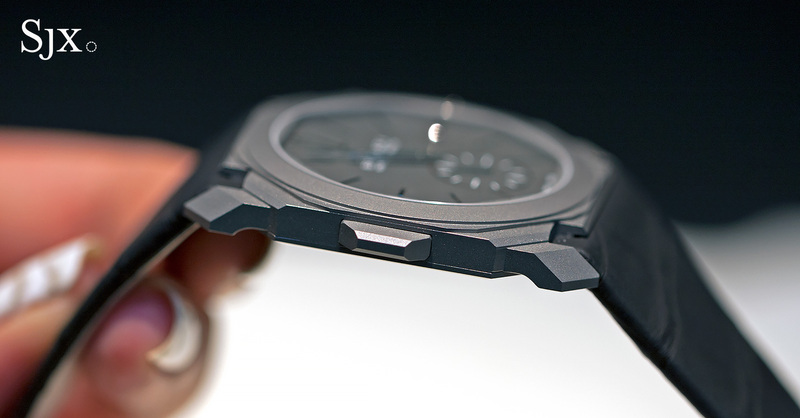 This gives it an incredible feel on the wrist – compact, elegant and unbelievably light. Despite its thinness, the repeater chimes are satisfyingly audible and pleasant. That is helped by the case made of titanium – the low density of the metal helps sound transmission – which is also hollowed out on the inside. 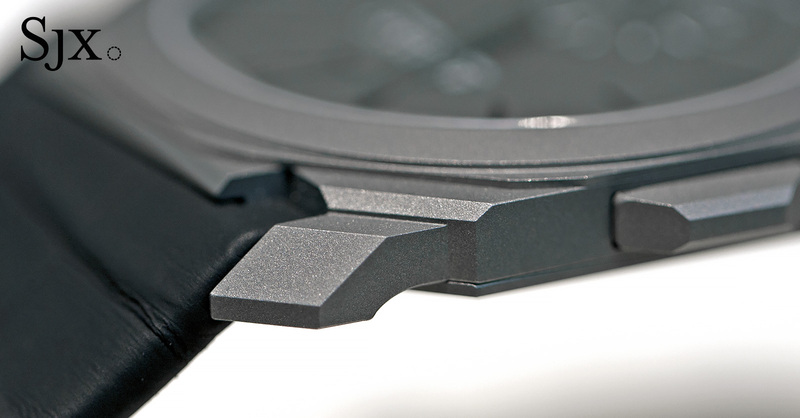 Even the dial is titanium, with cut-outs for the hour markers to help transmit the sound. 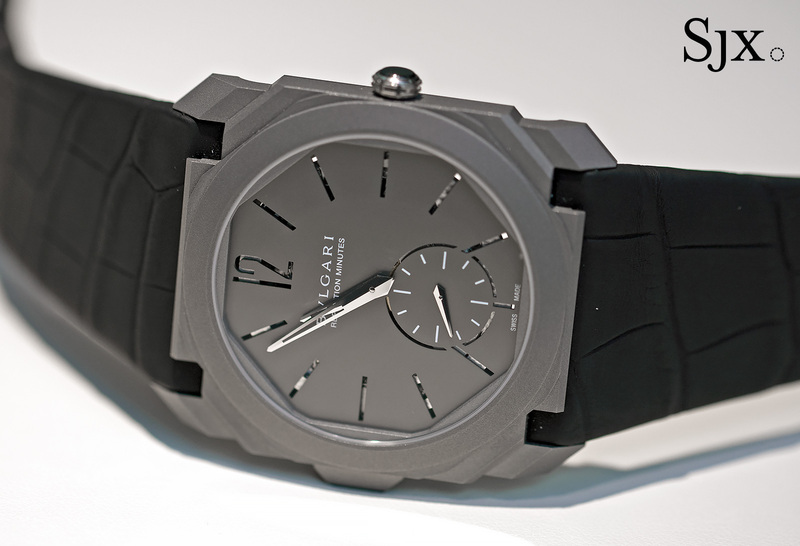 The entire watch is a matte grey – a grained, sandblasted finish on the titanium case and a fine satin surface on the dial. 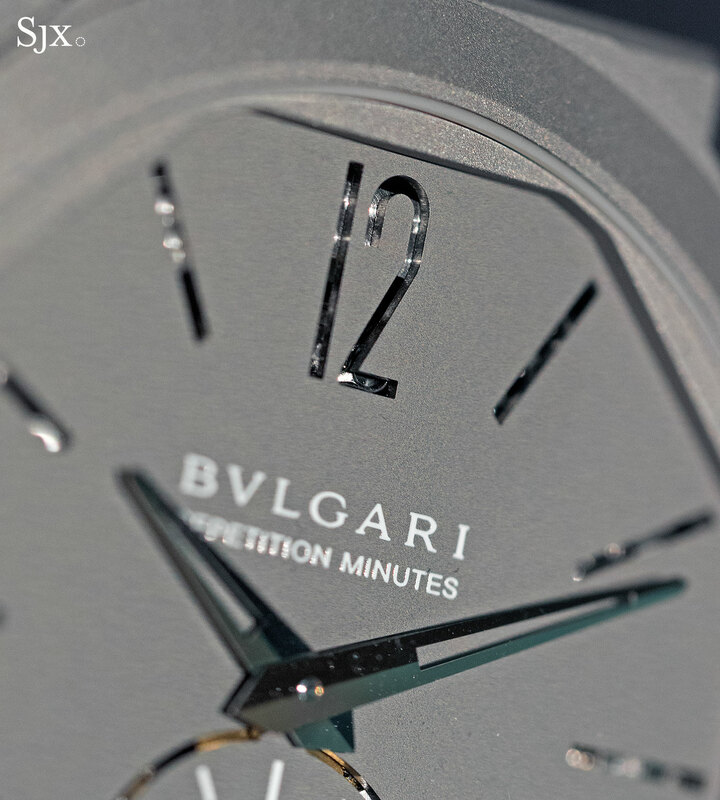 Only a tiny bit of gilded metal is visible through the cut-outs on the dial. Though the watch looks identifiably modern, the movement has a lengthy history. In 1981 Gerald Genta – then the world’s leading, high-end independent watchmaker – unveiled the thinnest minute repeating wristwatch ever, standing 2.72 mm high in its entirety, case and all. One of the most distinctive features of the movement was the button to activate the repeater, located at nine o’clock on the case band. 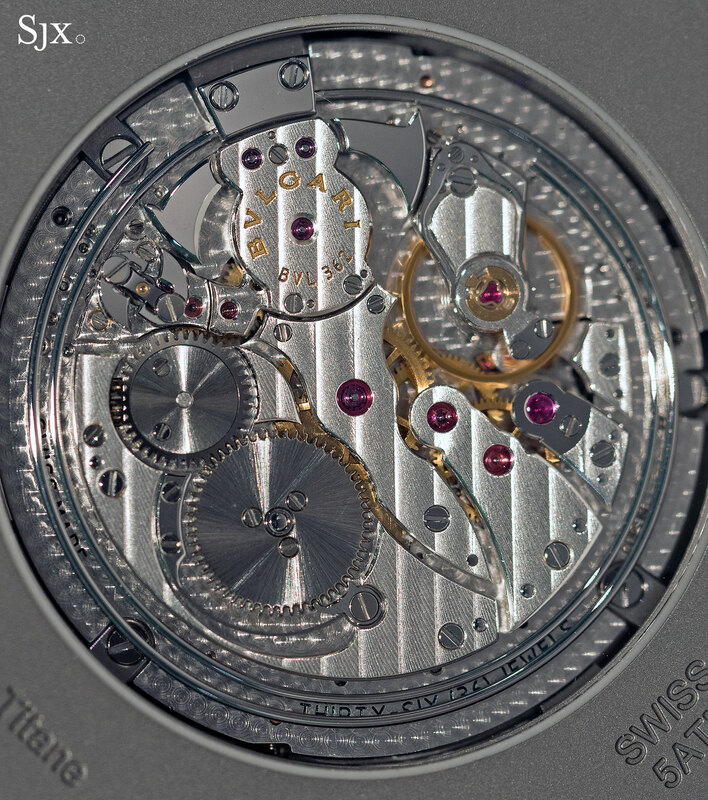 The downside of that amazing example of horological engineering was its delicacy; the movement was prone to breaking. So the movement was reengineered extensively, gaining a little bit of thickness but tremendous extra reliability and robustness. Subsequently it was inherited by Bulgari when the jeweller acquired Gerald Genta and its sister company Daniel Roth in 1999. 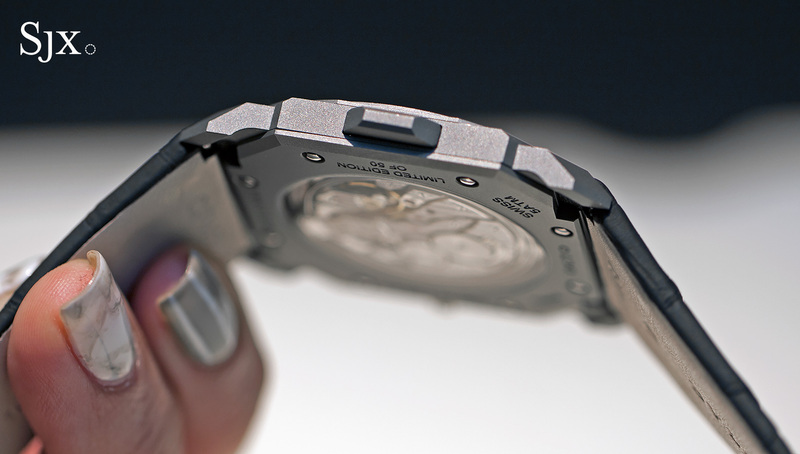 Now named the BVL calibre 362, the calibre is the slimmest minute repeating movement, just 3.12 mm high. That’s a good deal thinner than the 3.9 mm of the runner up, the calibre 1731 of Vacheron Constantin. And that is also likely the technical limit of a reliable minute repeater movement with a traditional construction, meaning it is not likely to be topped by anything else, unless a radical new construction is devised. While it took a long time to get here, the BVL calibre 362 is likely to retain its throne. 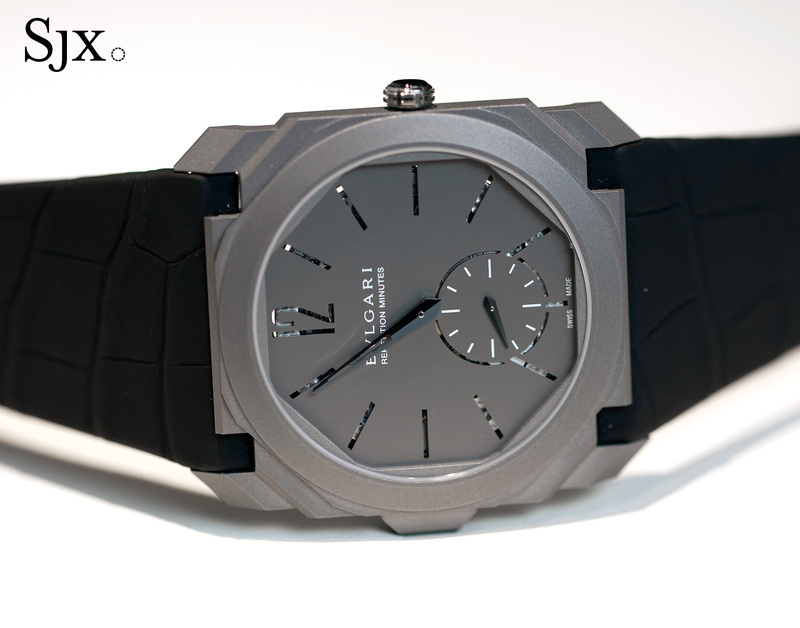 The Octo Finissimo Minute Repeater is a limited edition of 50 watches, priced at SFr160,000 or €165,000.